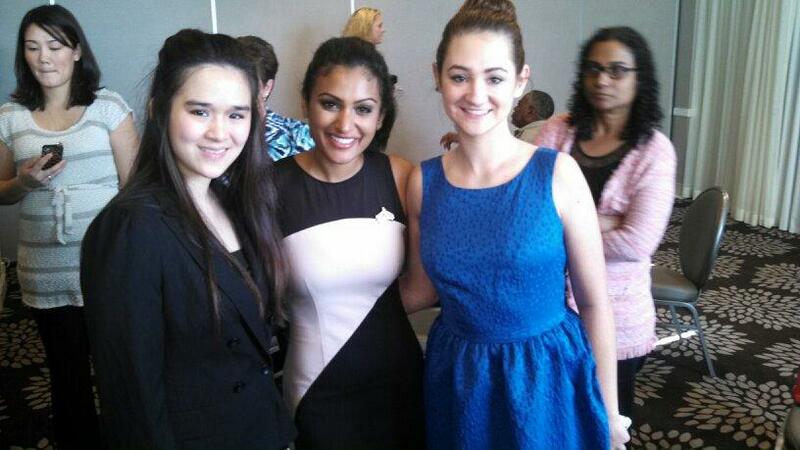 Two months ago, Nina Davuluri was crowned Miss America in Atlantic City, New Jersey. I watched as the girl I’ve competed with, had lunch with, discussed platforms with, and judged a local pageant with was crowned Miss America. It was fricken amazing, and I’m still in shock. New York won twice. Upstate New York. First Bollywood Talent. First Indian descent. It was just truly unbelievable. Two Miss Americas in a row seems like a great reason to Party. So in line with Miss America tradition, after beginning her reign as Miss America, she would return to where it all began. After a quick evening in New York City to jump start the Homecoming celebration, Nina and her gang flew (or drove) upstate to the place where it all began: Syracuse. Here, the real celebration began. I of course wanted to be involved and chose two of the events to attend: the autograph signing and the breakfast. After the contestants visited the Children’s Hospital, as ambassadors of the Children’s Miracle Network, they made their way to Destiny USA. This mall is the 6th largest mall in the country, with plans of becoming the largest. Some of us devoted fans arrived two hours early. Others may have, but got lost, as a result of zero signs or staff. No one knew where to go! There was absolutely no knowledgeable staff member anywhere. Being dressed for the occasion, multiple people asked me for details of the event. Being a know it all, I played along and told people where to wait in line. But then having noticed a sign upstairs on the balcony, I took it into my own hands to correct the issue of lack of signs. I learned that it is apparently not permitted to take a sign down off a balcony at the mall. I have no regrets. There was the event on the first floor, and the sign was on the second floor. I was simply correcting the problem. Multiple security guards saw me doing it, and I told them what I was doing and why I was doing it. Not one minded. The guest services lady saw me do it as well. But later, when the Destiny USA representative saw it, she was distraught because the event planner wanted it on the balcony. Sorry not sorry. I moved it to where the event was held and moments after hanging it from the table an enormous line formed, waiting for autographs. Destiny Rep claimed to have table runners for the table (which never appeared by the way), and then tossed the sign behind the tables. When the event planner saw the sign on the ground, she was upset, and Destiny lady pointed at me. Sorry, I did not throw it on the ground. Thanks. Sometimes I wonder why I am not an accredited event planner yet, as I am constantly seeing the flaws and mistakes of other planners’ events. But enough pointing out the flaws. There were perks as well. I got to meet with 8 of the Miss America contestants, as well as Amanda Mason, the new Miss New York 2013 Leah Sykes, Miss America’s Outstanding Teen and Miss New York’s Outstanding Teen. Being towards the front of the line, we had good conversations. It wasn’t until halfway through that the reps started telling the contestants to speed up each conversation. I got each of them to sign my official Miss America program book, and received autograph cards. They will be framed at some point in the near future. For the final day of the homecoming celebration, there was a quaint little breakfast with the Miss New York Board, a few of the Contestants, and the Salt City Royalty and Miss Syracuse Organization girls. And a handful or media reporters. I am not sure if I expected it to be a bigger ordeal, but in truth it was very small. It was quick, sweet and to the point. Farah Jadran, the editor of Syracuse Woman Magazine, thanked everyone for coming as the guests gathered there food. 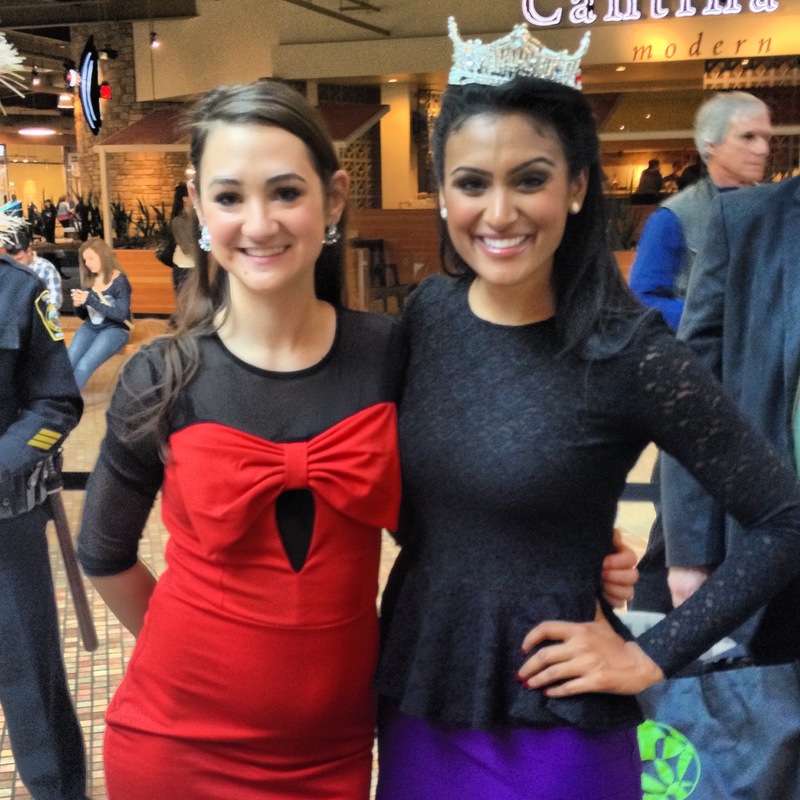 I had a nice chat with Leah, Miss America’s Outstanding Teen. She didn’t want to get food alone, so I gave her company. We joked about how the breakfast sandwiches had egg whites (an attempt at being healthy) but bacon (the opposite of healthy). She is seriously the cutest little thing, and I hope I can have a daughter like her one day. Amanda Mason, Miss New York 2013, sang the National Anthem. Nina spoke about how local titleholders are the heart of the Organization. She confessed that when Mallory won she felt as though she had lost her chance at becoming Miss America, because the odds of New York winning twice in a row were nearly impossible. But leave it to Nina to do the impossible! Ken Nelson, the Executive Director of the Miss New York Board spoke. He told a terrible, not funny joke about how if he had to put on a second Homecoming he’d put a bullet in his head. I’m sorry, but that isn’t funny. At all. I didn’t think so, and neither did anyone else there. Finally, the Syracuse Princess, Kaylee and Syracuse Pre-Teen Katelyn gave Nina the Ultimate Role Model Award as a thank-you for judging a Salt City Royalty pageant, and being an inspiration for Syracuse girls. And that was it. Short and sweet. 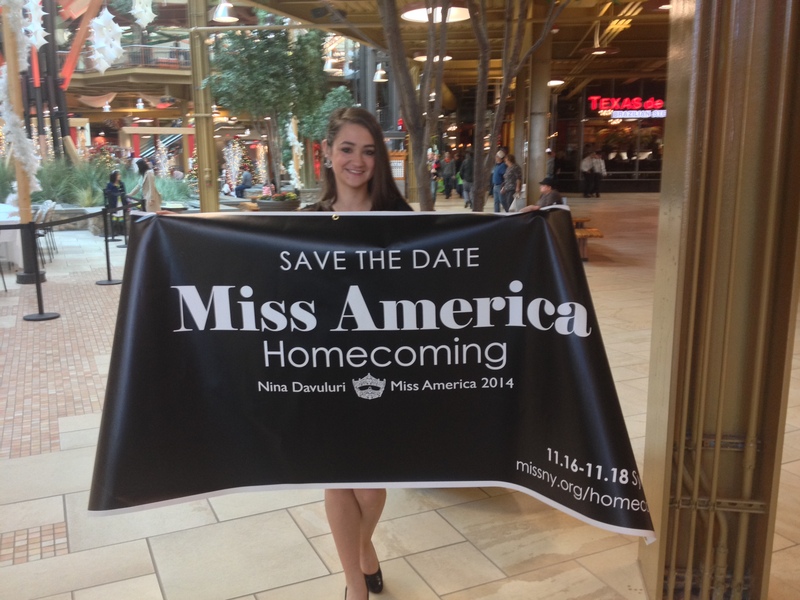 We then had time to talk to titleholders and take pictures. Tickets were $40 each, or $350 for a table of Ten. Salt City Royalty and the Miss Syracuse Organization bought three full tables together. Yet all of the tables were set with 8 place settings. Also, that sign I took down at the mall… It was hanging in the room. You’re welcome. There has never been a state to win THREE Miss America titles in a row. But if there was ever a state to have a three-peat, its New York. Lets do it.